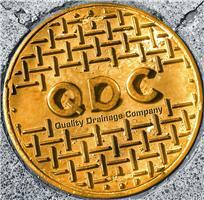 Quality Drainage Company Ltd - Cleaning Services, Drain/Sewer Clearance based in Bourne Road, Kent. Quality Drainage Company Ltd (QDC) is a family run award winning business, winning Bromley's Best Small Business, offering high standard of workmanship at a competitive rate with a personal service, fully insured covering all aspects of drainage from Emergency Unblocks,Installations, Excavations & Repairs, Maintenance Contracts, CCTV Surveys and Gutter Cleaning. We are pleased to confirm that we are a members of many accreditation's including Safe Contractor.